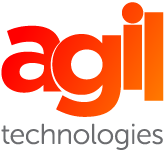 Respect for privacy is a priority for Agil Technologies. In the framework of its activity and pursuant to the current French and European legislation, Agil Technologies undertakes to ensure integrity, confidentiality and security of your personal data. The purpose of this charter is to set forth the rules applicable to the data that we collect on the agility Platform or on our web site. This Charter shall be effective as of November 10th, 2016. We reserve the right to amend this Charter from time to time by posting a new revised version online. The revised version of the Charter shall become effective as soon as you register, if you are a new user, and 15 days after the day of posting, if you are already a user of our services. A message notifying you of the revision will be posted on the Home page and sent to our registered users. If you refuse the revised version of the Charter, you may no longer use our services at the end of this 15 day-notice period. 1.1 Access and Registration. You don’t need to register in order to have access to our web site and use it. However, if you need information about our services (additional information, our presentations, download documentation, newsletter, etc. )., we will collect your personal data (last name, first name, title, company’s name, email address, telephone number, etc.). The use of the Platform proposed by Agil Technologies is subject to your registration and includes personal data treatment (last name, first name, email address, avatar or photograph, name of the business represented, country, telephone number, etc.). When you connect on agil.com, a cookie may be installed automatically on your web browser. Cookies are used for statistical and promotional purposes and to recognize previous visitors. Cookies enable us to recognize Users when they return to the Platform or web site, to memorize the data that you enter when you browse the Platform or web site (such as language choice, type of browser, etc.) and not to ask for the same information repeatedly when you visit our Platform or web site. 3.1 Purpose and data retention. The personal data of Platform Users or web site Users is collected and processed for a defined and specific purpose, as declared to the French Data Commission (Commission Nationale de l’Informatique et des Libertés, or “CNIL”). Personal data is retained for the period of time necessary for data processing operation. The purpose of the personal data control is, in particular, to allow Agil Technologies to manage clients and prospects files, to engage commercial prospection and promotional campaigns, to develop statistics and to answer Users requests related to their Rights (Article 5 below). The data collected, the duration of storage, and its recipients are determined based on the purpose of processing. 3.2 Dispute resolution. In addition to the personal data collected from the registration form that you filled out, we may use information regarding your activities on the Platform or web site to resolve a potential dispute or resolve a problem in connection with the use of the agility service. 3.3 Marketing campaigns. We recommend that you authorize us to use your personal data (email address, street address, telephone number, etc.) in connection with our marketing and promotional campaigns, but also for purely statistical purposes concerning the use of the services offered by Agil Technologies. We conduct marketing and statistical studies in order to improve our Platform and services. In addition, you can modify your notification preferences at any time by agreeing or refusing the use of your personal data in connection with our marketing or promotional campaigns by going to your User account settings. 3.4 Third parties. You acknowledge and agree that your data may be transmitted to third-party data processors assisting Agil Technologies in providing its service. If you use the services of a partner site or third-party application, they may provide us with information about their transactions with you. As part of the use of the Platform, the log-in data (log-in and/or password) allowing your connection to the Platform is personal and confidential. For security reasons, you shall not disclose your log-in and password to any third parties. You shall be solely liable for any consequences, whether contractual, financial or other, which may result from any unauthorized use of your log-in data by third parties and you warrant Agil Technologies against any claims in that regard. Agil Technologies reserves the right to suspend your account should we have reasons to believe that your log-in data was disclosed by you, stolen or used without your consent. Your personal data is stored on servers located in France, in the European Union or within the United States. Agil Technologies places the highest priority on the security of your information. For that reason, Agil Technologies and its hosting providers have implemented appropriate measures to ensure the safety of your personal data. However, we cannot ensure that your communications and other personal data will not be intercepted or disclosed by a third party. You have the right to access, to modify, to delete and to transfer your personal data. Also you have the right to refuse the use of your personal data in connection with our marketing or promotional campaigns. If you exercise these rights, we will make a sincere effort to respond in a timely manner to your requests. To exercise these rights you can : (i) go into your User account settings, or (ii) send a notice to the following address: Société Agil Technologies – Service Support 128, rue la Boétie, 75008 Paris – France; or (iii) send an email to support@agil.com. You may close your agility User account at any time and request that your data be erased by sending a request by postal mail or email. We will delete your personal data but reserve the right to keep certain categories of data as necessary in case of future claims or disputes, for the term authorized by law. This data will however be deactivated and no longer accessible on line. The Data Controller is: Société Agil Technologies, Monsieur Andreas Pagel – 128, rue la Boétie, 75008 Paris – France. Processing of the personal data of the Platform’s Users is governed by the French privacy act (Act No78-17 of January 6, 1978, as amended). Pursuant to the provisions of the French privacy act, the processing of personal data of Agil Technologies’ Users was duly registered with the French data commission (CNIL) under number 1949399. For any question concerning your personal data, please send us an email at: support@agil.com.